It has long been rumored, now it is official: "Star Wars 9" will not tie directly to the plot of "The Last Jedi". This was revealed by director JJ Abrams in an interview. And it was not the only news the creators of the sequel had in their luggage. 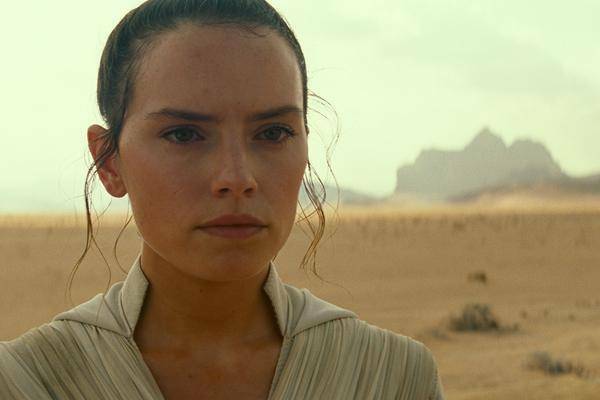 At the end of last year it was speculated that "Star Wars 9" could return to the good old franchise tradition and allow some time to elapse within the action before the heroes around Rey plunge again into battle. Now director JJ Abrams has not only confirmed the time-lapse rumors, he also had news on the characters in store. This reports Collider from the Star Wars Celebration, on which finally the first trailer for the sequel was presented. As director JJ Abrams officially confirmed during the podium discussion, the plot of "Star Wars 9: The Rise of Skywalker" will begin with a leap in time. "The film does not start right after 'The Last Jedi'", quotes Collider Abrams. "It will be some time past." While the director basically only confirmed what had long ago been leaked to the final of the Skywalker saga, it was actually really interesting with regard to the characters. "This is an adventure that the group sets together, and I think one of the great things about 'Star Wars 9' is the dynamics between the characters, which is what I'm most looking forward to showing you ", says Abrams. Instead of many (more or less) single moves we will get to do it in "Star Wars 9" with concentrated group action. Whether it is a worthy finale of the sequel trilogy? We'll find out from 19 December 2019 when "Star Wars: Episode 9 – The Rise of Skywalker" starts in German cinemas.